What is Lap Band Hypnosis Or A Virtual Gastric Band? The medical procedure called gastric band surgery reduces the physical size of the stomach by placing a silicon band around the top of the stomach, thereby reducing its size. But the Virtual Gastric Band can be undertaken quickly and safely without the delay of hospital waiting lists, the risk of undergoing a medical procedure or the recovery afterwards. 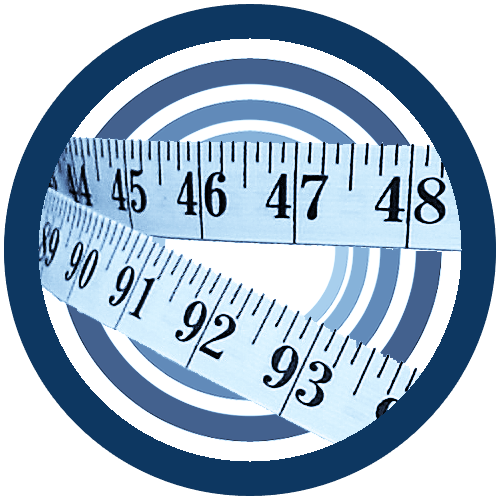 Gastric Band Hypnosis is a hybrid of conventional weight loss hypnosis. It also contains elements of NLP and visualisation techniques to help embed positive results much more effectively. This method is a remarkable breakthrough for non-invasive natural weight loss reduction. It has been extensively covered in the Australian media as a revolutionary way to loose weight, and with good reason too! This system was first used in the UK on 25 subjects with an accumulated weight loss of 90 kg over just 3 weeks. Only one of 25 clients in the 1st trial did not loose weight. Tim was personally trained by Sheila and uses the exact same protocol to produce the same results mentioned here. These are only a few of the many articles published for this revolutionary system. You too can experience the same results with Tim in his Sydney clinic. How does it work? What happens at the first hypnosis session? You will come in once a week or fortnightly to one of my hypnotherapy clinics located in Macquarie Street and George Street, CBD Sydney. In the first session, we will discuss what your goal is and what is keeping you from achieving your ideal weight. After the pre-talk I will guide you into a deep state of relaxation, wherein the virtual gastric band suggestions are made to your subconscious mind and the changes begin. After the first session, you will be given a support mp3 to take home and reinforce the suggestions to further lock in the process. After the four sessions and regular use of the CD, you will have taken control of your weight issues. These changes of patterns and thinking are designed for the long term, if not permanently. Most people notice results after just one session and start reducing their weight in the first week. At the end of the four sessions, all the new behaviours and patterns are reinforced and permanently embedded in the client’s subconscious mind. You are what you think. Hypnosis can help you change your habits and belief. After helping many clients with this weight loss program, I’ve verified that there are many variations in patterns, behaviours and belief systems. It’s these beliefs that keep people from losing weight and maintaining their ideal weight. However, no matter how long term or entrenched these ways of behaving and thinking are, they can be dissolved and replaced easily with hypnotic suggestions. Through hypnosis for weight loss, the conscious mind can easily be distracted, leaving the subconscious to be accessed directly. And through this process, the eating habits can be changed permanently to new, healthy ones. Listen to your body again. We are bombarded with so many diets, with so much information behind them that we become confused. This diminishes the power of the mind because IT doesn’t know what it’s really doing or if the diet will even work. Through hypnosis, I can help you to reprogram your relationship to food in general and your eating habits so that your mind and body will be able to reconnect. This is an incredibly simple and basic ability that most people have lost at some stage. Once again you will be able to listen to your body. All the unwanted urges and desires for too much sugar, fat or salt are jettisoned. They are replaced with safe and sensible new programs. You will be able to feel, listen and know what your stomach and whole system needs and likes. Most people who have tried to lose weight with a diet know, it’s no fun and it’s stressful too. And depending on the diet you’ve chosen, most people feel tired, unbalanced and envy the ‘normal eaters’ around them. You can’t wait to get to the end of your weight loss program. When the day comes, you are happy about the weight you’ve shed – there’s often a few kilos less than before the diet. But what happens after you stop dieting? With most diets and weight loss programs, once the goal has been achieved, most people find it extremely hard to keep on track and maintain their reduced weight. This is because their thinking and patterns haven’t changed and they inevitably go back to old habits and patterns and eventually end up overweight again. With Virtual Gastric Band Hypnosis you created new positive mind-body connection and patterns of thought that naturally help you feel fuller quicker and therefore it’s easy to maintain your optimal weight in the long term.